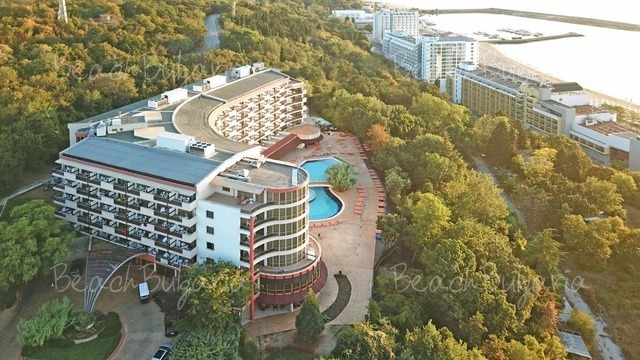 LTI Berlin Green Park Hotel is situated in a quiet park on a hillside, overlooking the Black Sea coast. 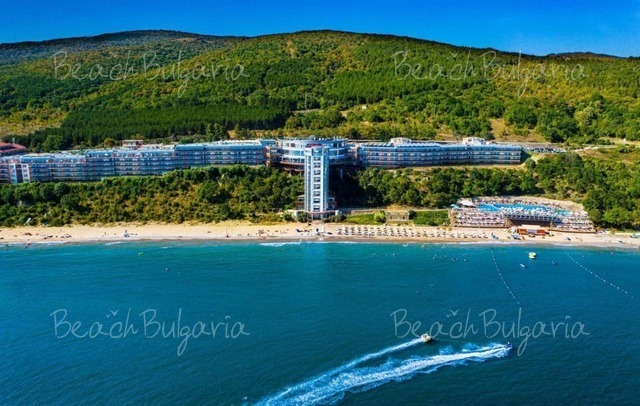 The upper floors offer a splendid panoramic sea view. The property is ideally located at few minutes walking distance from the beach and the yacht port in Golden Sands. 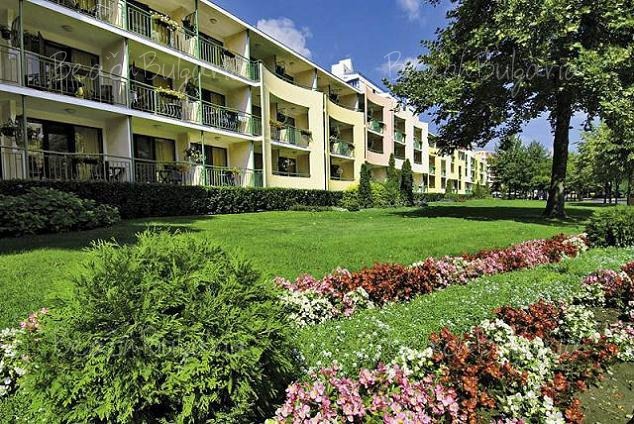 Berlin Green Park Hotel offers 216 air-conditioned guestrooms equipped with telephone, safe, mini bar, hair dryer, SAT-TV, shower and balcony with sea or park view. Berlin Green Park Hotel features a restaurant, a pool bar and a lobby bar. 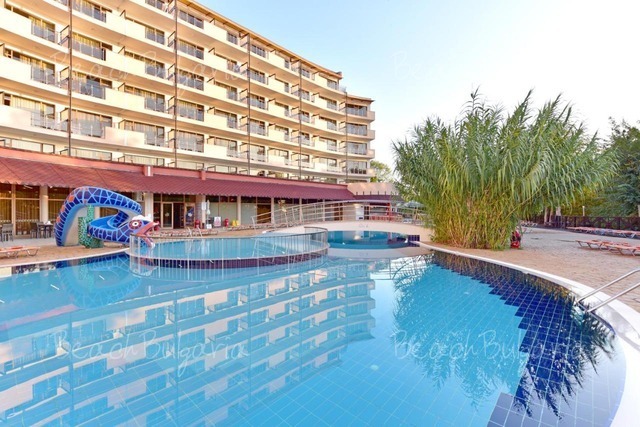 The property features indoor and outdoor swimming pools, a children's swimming pool, a sauna, a fitness. - Fitness, table tennis, gymnastic, darts, water gymnastic. 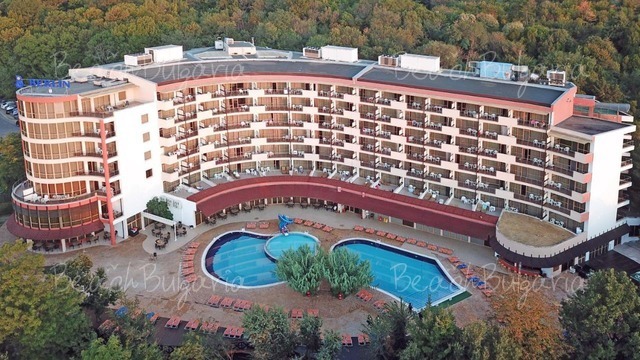 subject to extra charge: Internet; Safe; Parking; sauna, Massage; Billiard; A-la-carte restaurant; Tennis. 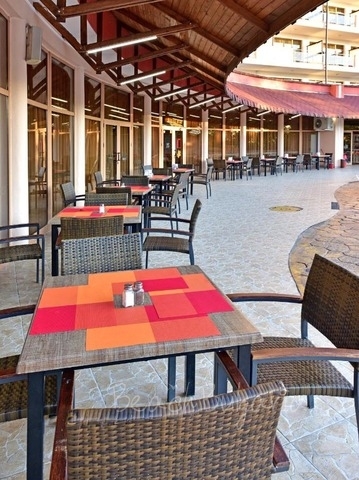 * All prices are in Euro, per room, per night, all inclusive. 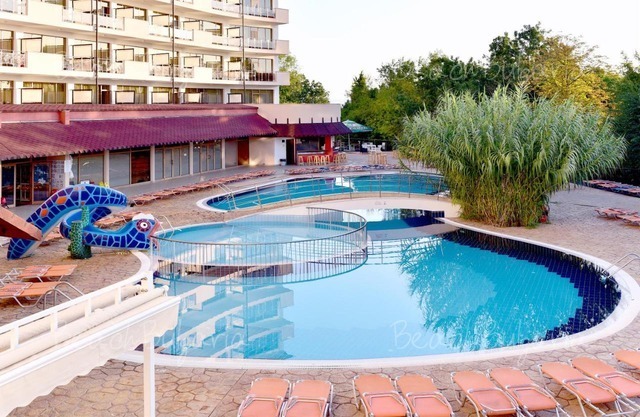 Free use of indoor and outdoor swimming pool, sunbeds and parasole on the swimming pool and on the beach, fitness. * Мaximum capacity: Double room - 3 adults or 2 adults + 1 child; Studio/Apartment - 2 adults + 2 children or 3 adults. * Cancellations can be made free of charge providing details of this are received at least 10 days prior to check-in time on the day of arrival and 14 days during 05 July - 25 August - cancellations made after this period will incur a fee equivalent to the cost of 3 night's accommodation. Please, post a comment on Berlin Green Park Hotel. 7=6 & 14=12 valid for period 01 Sep - 09 Sep 2019! - 15 % discount until 30 April 2019! Extras are combinable with early booking discount! 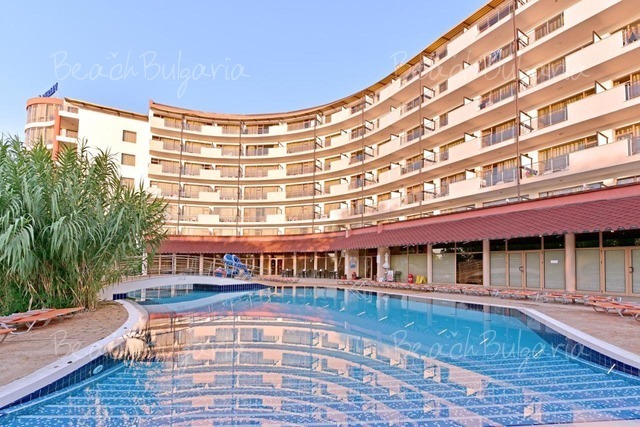 Early booking Villa List Hotel Sozopol - 15 % discount until 31 March 2019 & 10 % discount until 30 April 2019.